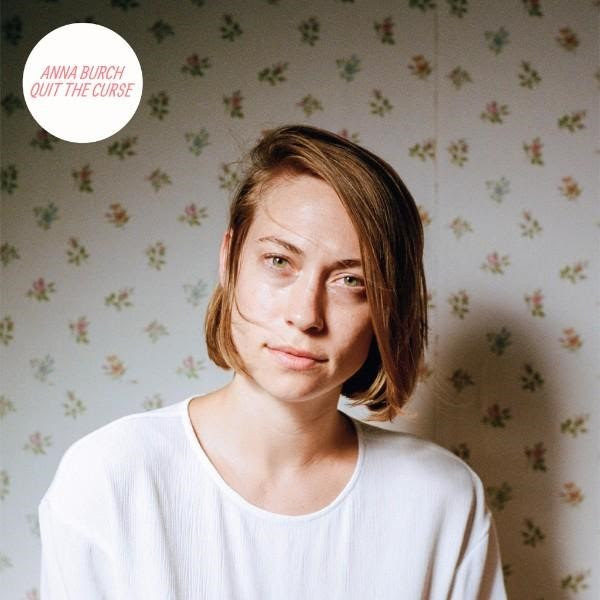 Detroit native Anna Burch, recent signee to Heavenly Recordings, has announced her debut album Quit The Curse set for release February 2, 2018. Watch the video for latest single “Tea Soaked Letter” below. The nine songs that comprise Quit The Curse come on sugary and upbeat, but their darker lyrical themes and serpentine song structures are tucked neatly into what seem at first just like uncommonly catchy tunes. Burch’s crystal clear vocal harmonies and gracefully crafted songs feel so warm and friendly that it’s easy to miss the lyrics about destructive relationships, daddy issues and substance abuse that cling like spiderwebs to the hooky melodies. The maddeningly absent lover being sung to in “2 Cool 2 Care”, the crowded exhaustion of “With You Every Day” or even the grim, paranoid tale of scoring drugs in “Asking 4 A Friend” sometimes feel overshadowed by the shimmering sonics that envelop them. The album was produced by engineer Collin Dupuis (Lana Del Rey, Angel Olsen) who helped push things energetically home, mixing the already bright songs into a state of brilliant clarity.